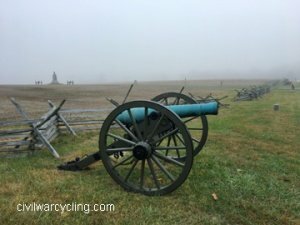 In the aftermath of the Battle of Gettysburg, more than 30,000 soldiers from both armies were either hospitalized or left for dead on the battlefield. Thousands of horse and mule carcasses littered the battlefield. Roughly 2,400 Gettysburg citizens returned to find their homes, churches, barns, and other property destroyed. The bloodshed was barely half over. The U. S. Civil War would continue until April, 1865. 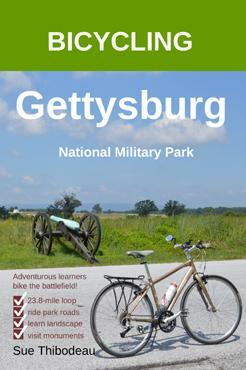 About 170,000 soldiers fought at the Battle of Gettysburg. There were more than 51,000 casualties (dead, wounded, missing). Source: Historynet.com, “Gettysburg Casualties (Battle Deaths at Gettysburg),” Battle of Gettysburg, accessed November 17, 2016, www.historynet.com/gettysburg-casualties. 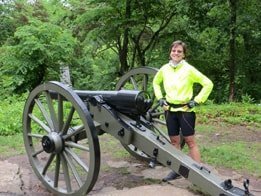 For more in-depth coverage, please see Civil War Cycling’s annotated bibliographies on the Civil War and Gettysburg.